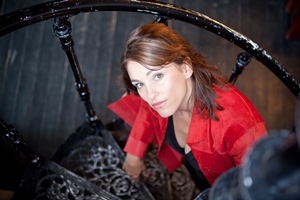 Indie film directors and just-announced NSI Diverse TV Director program participants Amy Jo Johnson (pictured) and Adam Garnet Jones are adding TV to their resumes. The NSI and Corus Entertainment have announced the participants in the 2016 Corus Diverse TV Director, with directors including Amy Jo Johnson and Adam Garnet Jones set to participate in the program for feature filmmakers eyeing a transition to scripted TV. 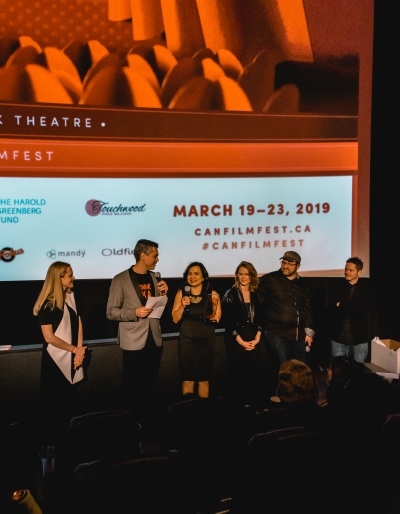 Johnson, who directed The Space Between, and Jones, who helmed TIFF ’15 feature Fire Song, are joined on the program by Toronto’s Tricia Lee and Tanya Lemke, and Whistler’s Tarique Qayumi. The two-part program will see participants first take part in an intensive boot camp in Toronto, before spending four weeks shadowing a director on the set of a TV series. The program is for female directors, or directors who are Aboriginal, of a visible minority, or who have a disability. The transition from features to television is a smart one for directors in the early stages of their film careers, Amy Jo Johnson told Playback Daily. And not just from a creative perspective. “I love writing and I love directing and doing features, but at this point of my career, as a new filmmaker, it’s not very lucrative yet. So I think for longevity’s sake that a directing [career], learning and diving into the TV world will be a good step for me,” she said. Garnet Jones echoed those sentiments, pointing also to TV’s ability to help directors fill their working schedules. “I think that as independent film is less profitable for all of us, we start looking to other avenues to make money and stay active as directors,” he said. “There’s more high-budget, exciting TV being made now than ever, and I think all [indie film directors] are seeing an opportunity in that,” added Jones.